Does your driving record contain any of the following? If so, how long and in what position(s)? I certify that the answers I have given in the application are true and accurate to the best of my knowledge and I understand that any false or misleading answers or any omissions or concealment of facts will disqualify me from consideration for employment or will be grounds for immediate discharge. In making this application for employment it is understood that an investigative report may be prepared whereby information is obtained from former employers, educational institutions which I have attended, trade-related agencies and references. I authorize my former employers, educational institutions, trade-related agencies and references to give you any and all information concerning my previous employment and any pertinent information they may have, personal or otherwise, and will release all parties from all liability for any damage that may result from furnishing same to you. I understand that if such investigations should reveal a false statement or derogatory reports, I will be disqualified from employment or subsequently dismissed. I have the right to make a written request within a reasonable period of time to receive additional detailed information about the nature and scope of this investigation. I agree to conform to the rules and regulations of the company and if employed, I understand and agree that my employment is at will and no employment contract rights have been created. I also understand that my employment may be terminated at any time with or without cause, and with or without advance notice at the option of either the company or myself. I also understand that no supervisor, manager or other representative of the company has any authority to enter into any express or implied contract for employment for any specified period of time. Any agreement contrary to the above must be in writing and must expressly state that it is a contract and be signed by Human Resources. 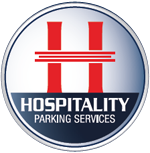 Furthermore, I understand that if I am hired after the 90-day probationary period, either I or Hospitality Parking Service can end the employment relationship at any time, for any reason, with or without cause or notice. I am willing to submit to a pre-employment drug screening at the company’s expense if I receive an offer of employment and if one is given that my continued employment may be contingent on the results. I also acknowledge and agree that I am subject to random drug screenings as mandated by the company’s drug-free workplace policy.